Execution | Exponential Edge, Inc.
We manage and execute results-driven marketing programs to help clients meet their business objectives. Our experienced program teams — complementary to your staff either as an outsourced program or temporary manpower — apply marketing expertise and proven methodologies to help you turn strategies into winning marketing programs. Whether it is an ongoing program or kicking off a new campaign, we can implement a full range of marketing efforts, including product marketing, demand-generation activities and marketing communications. Include the optimal mix of influence and reseller relationships tailored to your business objectives. 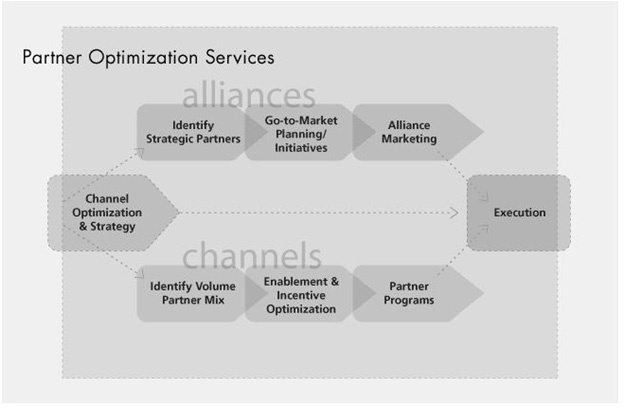 We help clients optimize their partner activation programs, go-to-market plans and incentives to achieve maximum results.